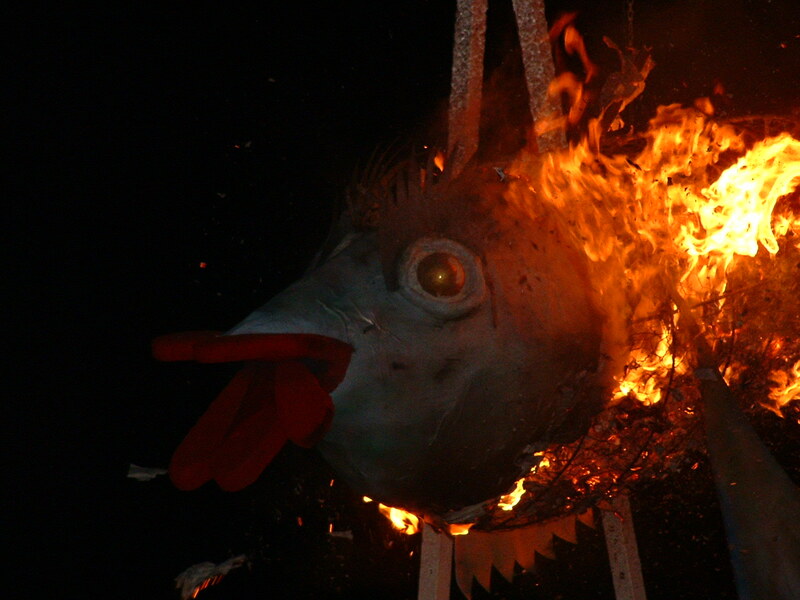 Most places in Spain end Carnival with a funeral for a sardine. It’s like being inside a Monty Python sketch, with the crowd dressed in black (some tarty, some elegant) and screeching with fake grief. “WAUUUGH! She’s dead!” The whole thing’s deliciously bonkers. This bizarre finale to Carnival was traditionally held on Ash Wednesday, but most places on La Palma hold it at the weekend, so people don’t have to get up in the morning. Santa Cruz de La Palma will hold their funeral tonight, starting from the Alameda at 9 pm, with the cremation at the sea front shortly before 11pm. Afterwards, they’ll be a public dance at the carnival stage. Los Llanos will also be burying their sardine tonight, starting at the earlier time of 7pm from El Camino Los Lomos-Los Pedregales, with the cremation at about 9:30 pm. Tazacorte burn theirs on Saturday 25th at 6 pm on the sea front. On Friday 2nd March, Puntallana’s funeral will go from the Casa de Cultural to the church Square, starting at 9:30 pm. 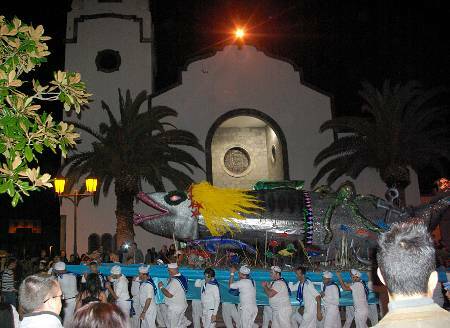 My favourite is the Sardine’s Funeral in Los Sauces, where they start with drag queens and then hand carry the sardine and bier, which they toss it around as though it’s on a rough sea. That’s on Saturday March 3rd at 9:30 pm. Puntagorda hold theirs on the same day starting at 9 pm from the Town Hall. I believe they read out the will before the cremation, which is probably a good laugh if you understand Spanish. Barlovento will hold funeral on March 10th, and I believe she’ll be dressed as Superman this year(!) The funeral proper starts at 10 pm, although the party starts at 10:30 am. And then we all go back to being sensible for another year.